Occupying the former site of Bag O’Nails – a live music venue renowned for hosting The Beatles, Jimi Hendrix and The Who – The Court has the potential to become Soho’s most exciting new members’ club. Intending to honour the club’s rich musical history, The Court will act as a private members’ club with a piano stage and nightly live entertainment. The realisation of founder Harry Mead, “who’s vision is to redefine the typical private members’ experience”, the venue will see collaborations with the likes of Michelin starred chef Tom Sellers, artist Bradley Theodore and florist Nikki Tibbles. Moreover, the 1920s style bar will serve a host of cocktails created by award-winning mixologist Ryan Chetiyawardana (behind Dandelyan, and White Lyan) and his team at Mr Lyan Studio. 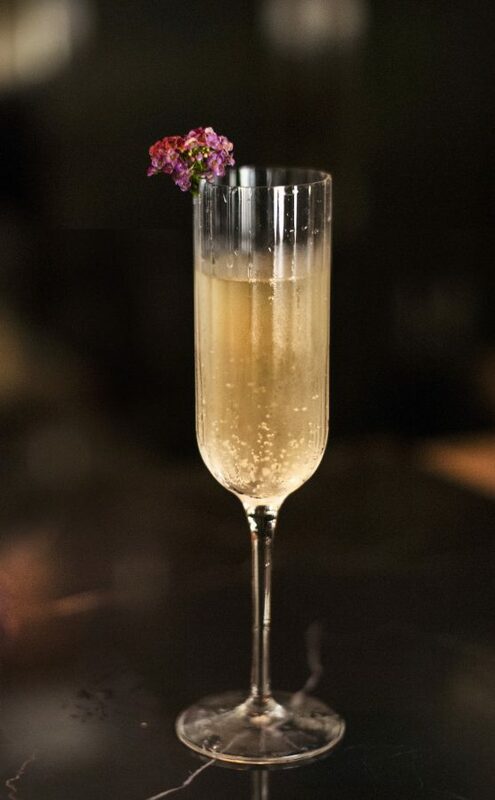 ‘The Court 75’, for instance, is a fresh take on a French 75 with added aromatics, made with rum, sake and bergamot liqueur, topped with Champagne. Combine all ingredients and shake with ice until chilled. Fine strain into a chilled champagne flute and top with champagne. Further information on The Court can be found here.